By using the best quality ingredients and the traditional Yorkshire Square fermenting system, we created a light, clean drinking pint with plenty of bite. From its humble beginnings we're proud to say that Black Sheep Best Bitter is now one of the best-selling session beers in the country and by far the biggest selling beer we produce. Although we now produce Best Bitter on a national scale, we still use time-honoured traditional brewing techniques and the highest quality ingredients to create this archetypal Yorkshire bitter which is undoubtedly one of the finest beers of its type. Fuggles hops against a malty background. Peppery hop in the mouth with a long, bitter finish. A classic well-hopped and beautifully balanced beer with a deeply satisfying and refreshing taste that is followed by a distinctively dry and long bitter finish. 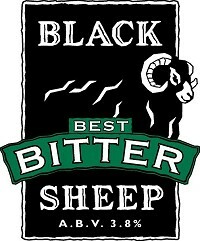 Best enjoyed in true Black Sheep style, through a rich, creamy head. Best bitter is the perfect accompaniment for lamb and other tender, tasty meats. The bitter flavour of the Fuggle hop lends a peppery characteristic which really complements full flavoured meat. We use Maris Otter malted barley, the 'Rolls Royce' of malts. Although more expensive, an impressive 9/10 blind taste tests will identify and prefer beers brewed with Maris Otter. Best Bitter uses a blend of whole hops including Challenger and Progress hops with Fuggles as the main variety which gives the beer its bite and characteristic nose. We believe it's important to support these classic English hop varieties. We need to encourage young hop farmers to plant these old varieties and there is a danger that the English hop industry will decline without the support of breweries like ours. The aim of the movement is to ask everyone to say Thank You in big or small ways to all who served, sacrificed, and changed our world during the First World War. The Suffolk based brewer is set to brew a special edition beer, Flanders Fields, and has pledged to donate 20p from every pint sold to the Legion. Earlier this month members of the Legion joined Greene King brewer Ross O'Hara to develop the recipe for Flanders Fields. The former servicemen and women spent the day discussing flavour profiles and were coached on beer styles that would have been prevalent in 1918. Flanders Fields, a 3.7% abv light and fruity ale with a chestnut hue, will be available in pubs from October 2018. 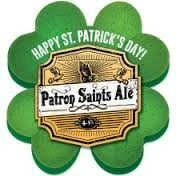 Celebrate St. Patrick's Day with our dedicated ale. 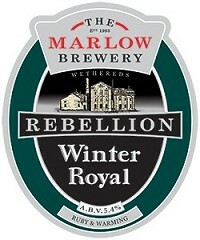 Originally brewed by the Wethereds Brewery in Marlow, Winter Royal became one of their flagship beers until the brewery closed in 1988. We are proud to be reviving this popular beer using the original Wethered's recipe. 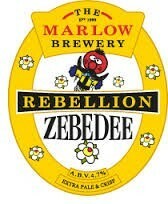 Traditional Fuggles and a Goldings hop variety add to the authenticity of this classic English beer. The result is a deep, ruby winter warmer at 5.4%, with a rich maltiness, soft bitterness and a fantastic late and dry hop aroma. What makes this beer extra special is that we are brewing our Winter Royal using 100% Marlow Bottom malted barley, harvested this year from fields next to Rebellion. A full bodied beer with redcurrant and blackcurrant flavours, along with a malted toffee taste. A crisp bitter finish. Wadworth's Bitter with Pussers navy rum. A gentle rum aroma and dark, unrefined sugar gives it a rich smoothness.